Bryant Park Blog: Father's Day Sale! The Bryant Park Shop Father's Day sale is on! Here at Bryant Park we ♥ dad so much, we made an iconic bistro chair tie for him. Thanks to our staff, aka in-house Bryant Park shoppers, we can also guarantee that this tie is a hit wherever it goes. More fun facts: it is now 25% off, is a perfect light green for summer, and is made by Vineyard Vines so you know the quality is top-knotch (necktie pun intended). 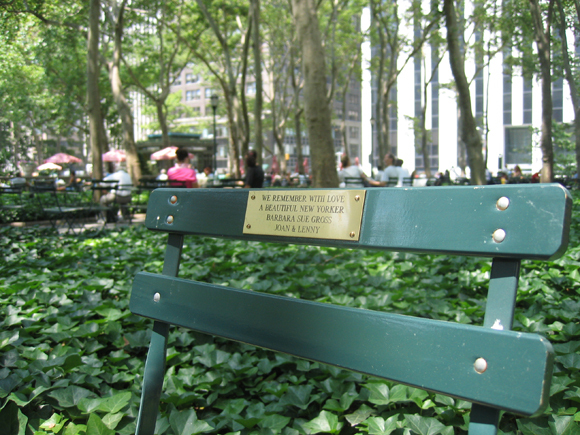 You can also get 25% off our Bryant Park NYC t-shirt, cap, and our very popular chair plaque. 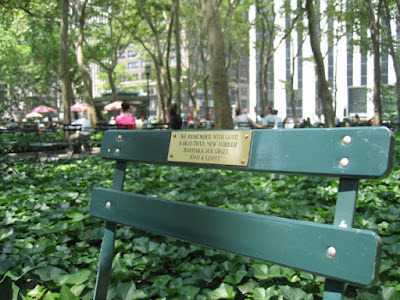 What a better way to commemorate Dad than with a personal message that lives on a chair in his favorite New York City park?